If you own a car, it’s likely you take it to the dealership a few times a year for those important maintenance visits. You may have always wondered what kind of maintenance you can perform from your own home, though. At the very least, it’s a good idea to know about some of the problems you can diagnose in your vehicle, so you know what to say when you go into the shop. Here are four items to check in your car, and how to check them. Leaky fluid may just be water coming from your air conditioning unit in the hot summer temperatures, but depending on the color, it can be a sign of an issue. A clear, slippery fluid means that brake fluid is leaking. If you’re seeing a dark red fluid, it could be the transmission or power steering fluid. Black or amber liquid under the vehicle could be dripping engine oil. A screeching noise may jump out at you as being hard to miss. It’s important to notice when they occur, so you’re able to properly diagnose a concern. When you hit the brakes and hear screeching, that may mean the brake pads are wearing down and need a replacement. Screeching when you accelerate could be the sign that a new fan belt is needed. If you back out of your driveway and hear screeching in the morning, that may just be the dew or early-morning moisture wicking away from under your brakes. If it continues, be sure to have it looked at. 3. Pay attention to your brakes. It goes without saying, but your brakes are important. Any time you notice something wrong, they should be looked at immediately. If the brakes feel springy or squishy when they’re pressed down, there may be air in the brake lines. The brake lines can be bled to get rid of the air. Brakes can also vibrate or pulsate when you press them down. If you notice any vibrations, the brake rotors could be worn down. Checking the front and rear rotors will give you a better idea of where the vibrations are coming from. 4. Don’t ignore the battery. You won’t be able to get very far without a working car battery. If the battery has a white powder on the outside, the alternator is overcharging the battery, and the car needs to be taken to the shop. If you notice your headlights are dim or the engine is turning over a few times before starting, that can be a sign that the battery is low. As a general rule of thumb, batteries last about three years, so have yours checked if you suspect it may be losing steam. Want to learn all about diagnosing cars? 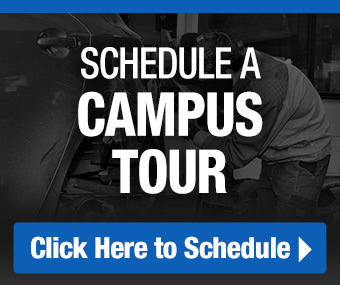 Receive a comprehensive hands-on experience at Automotive Training Center. You’ll have the opportunity to learn from knowledgeable ATC instructors about diagnosing vehicle issues, and also learn how to provide the fixes they need. Check out our free ATC checklist about investing in your automotive future today! This entry was posted in Automotive Tips, Informational and tagged automotive training center, Battery, Brake pads, Brakes, Diagnosis on by ATC.